Remember that scene from the movie QUO VADIS (okay, you don’t; the movie was released, after all, in 1951!) where two early Christians meet on the road? They don’t know each other and, in a time of persecution, they have to be circumspect around strangers. So, the first one draws an arc in the sand and only after the second one draws a second arc to complete an ichthys symbol (a fish), do they know they are in the company of a fellow Christian. 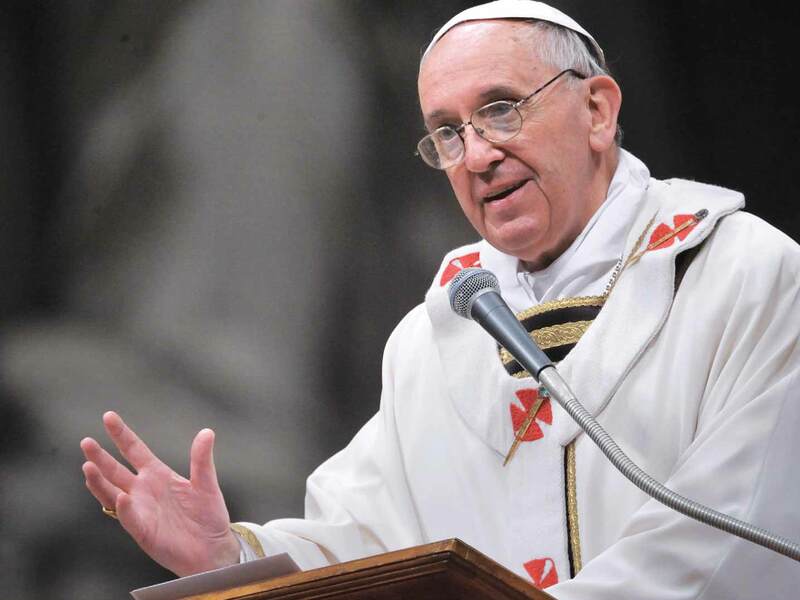 Pope Francis talked about Christian fellowship during his General Audience on June 25, 2014—the last one before the summer hiatus. His discussion of “belonging” to the community of faith, the People of God, the Church, recalls this legend. The beauty of the fish-symbol story lies beyond the secret handshake aspect of the exchange, and goes to the fellowship reflected in the narrative. When the strangers finish tracing the fish, they have not only identified themselves as safe company; they have participated in an act of communal praise. The fish was a symbol of Christ, so it’s as if the two strangers each brought something to the encounter to conjure Jesus (Cf., Matthew 18:20—“For where two or three have gathered together in My name, I am there in their midst”). Francis described the Church in terms of relations that precede us, recalling how God Himself defines the bond with His People by telling Moses that He is “the God of your fathers, the God of Abraham, the God of Isaac, and the God of Jacob” (Exodus 3:15). But it isn’t simply that we belong together: according to classical ecclesiology, we were always meant for each other. The Catechism states that the Church was born in the Father’s heart and foreshadowed from the world’s beginning (CCC:759-760). More recently, S. Pius X described the Church as “the product of the collective conscience, that is to say of the society of individual consciences which … all depend on one first believer,” who is Christ. Pascendi Domini Gregis, 23 (1907). This communal understanding of the Church propels Church beliefs such as the communion of the saints and Catholic Social Teaching, and eschews both the errors of Modernism which suppose that the Church can evolve based on individual conscience; and the excesses of individualism which suppose you can have your own personal Jesus (a “personal relationship” with God above and in place of the Church). In the words used by Pope Francis at his General Audience, there is no such thing as a “do-it-yourself” Christianity or “free agents” when it comes to the faith.